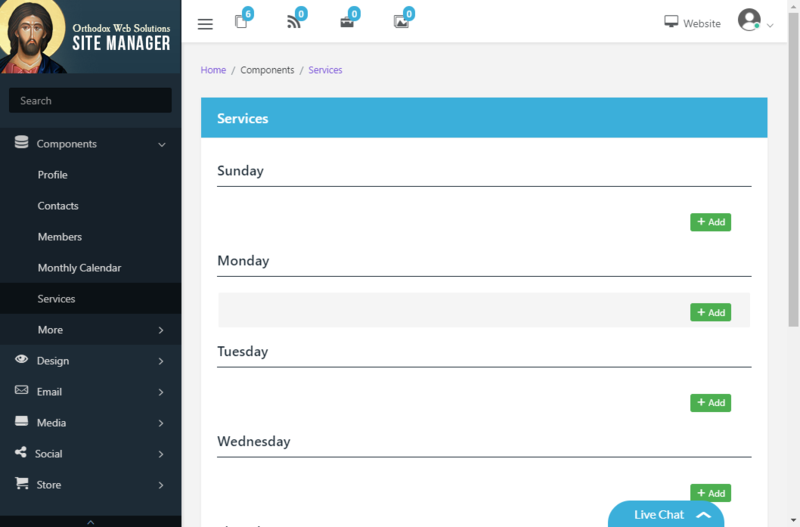 To manage your regular schedule of services go to "Components -> "Regular Services". Next select the day of the week for which you would like to "edit services". To add a new service, click "Add". To edit an existing service, click "edit". To delete an existing service, click "delete". To add a new service, click "Create service". Now enter the service's information. 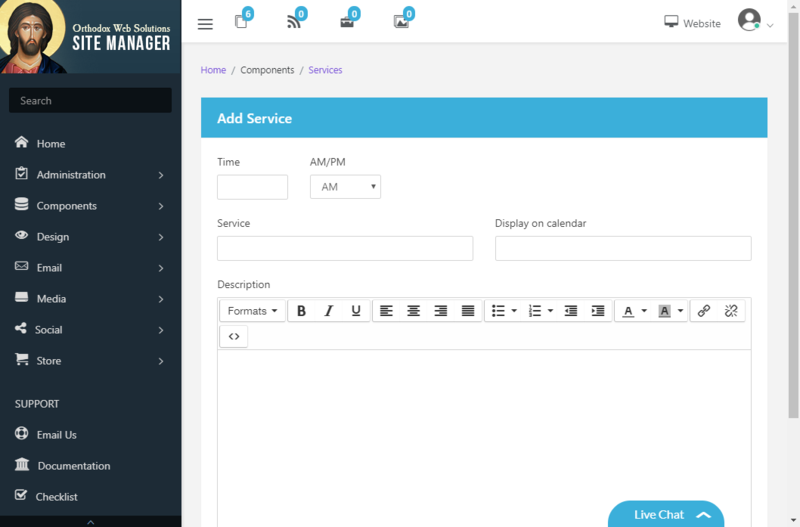 To add this service to the monthly calendar, enter the service name in the "Display on calendar" field.